HAITEC Heico Aviation Technology in Germany has started using Wings on their brand new hangar in Hahn for their MRO operations. ADT will be exhibiting WingsNG MRO Software at MRO ITConference in Miami, USA on March 8-9, 2016. Rusline Airlines in Russia is live on Wings with M&E modules. Royal Flight Airlines in Russia is live on Wings with the technical fleet management and Logistics modules. 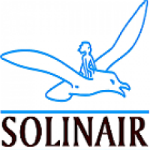 Wings will be in production use soon at SOLINAIR. They will join the list of airlines and MRO’s using Wings. Inflite The Jet Centre at Stansted Airport in UK goes live with Wings for their MRO and CAMO operations. Wings is in production use at SAMCO for both MRO and CAMO operations. The project has been completed as scheduled in 6 months. Wings MRO Software implementation at Turkish Airlines-HABOM MRO has been successfully completed in mid November in a record time. WingsNG now runs on Android based tablets, using 3G, 4G and WI-FI. Wings MRO Software is now in production use at MNG Jet MRO in Istanbul, Turkey.